Hey Loves, it is that time of year again where H&M bring out another Conscious Collection. There was huge controversy with H&M at the beginning of the year which I am sure most of you are fully aware of and a lot of questions about how sustainable they actually are?! This is something I do struggle with especially living in Asia seeing the effects that high demand fast fashion has amongst other things. I do feel slightly hypocritical writing these sorts of posts as some of you know who read my blog, I have a genuine appreciation for Fashion and enjoy writing these types of posts, sharing my favourite fashion finds, to spotting what women at Fashion week are wearing and current Fashion Trends. Another thing I have found living in Malaysia, it's not the easiest place for me to find clothes that cater to my size, have a good fit, breathable fabric and more importantly not breaking the bank, so that's kinda where H&M fits in for me. This is certainly a subject I need to gain more knowledge on but for now, I felt it was important for me to at least share some of my thoughts on this with you and try to be as open and honest as I can. I do find it difficult to put my views into writing as I am not the most articulate and my grammer....well that's another story in itself, I'm getting there! 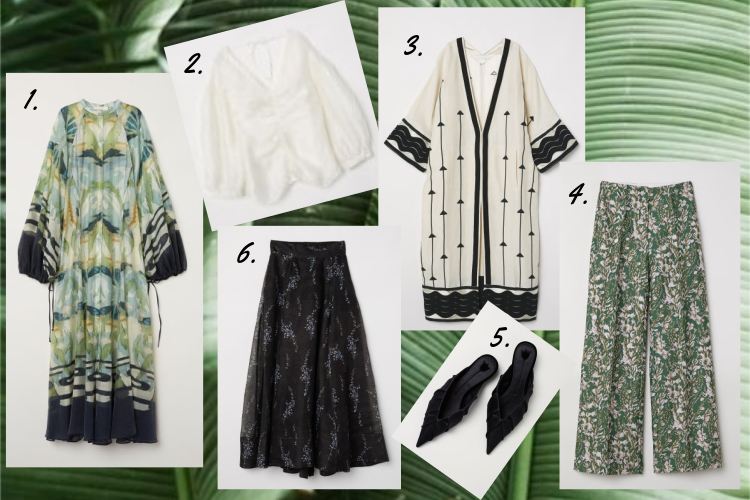 You can find out more about the background of this Collection and the sustainable fabric that has been used @ H&M Conscious Exclusive. I would love to hear your thoughts on Sustainable Fashion and what it means to you? Have you changed the way you shop for fashion? Feel free to share any knowledge you have in the comments below. The pieces are great! I love the colors and comfy cuts.